Fertilizer, pesticides, power equipment, irrigation—these practices and more give the typical garden a carbon footprint that can be surprisingly large. One of the least explored aspects of sustainable landscaping is how to create gardens that are carbon neutral and even carbon negative. This book shows you how. My backyard adventures with hummingbirds, Monarchs, moths, bumblebees, (surprise!) 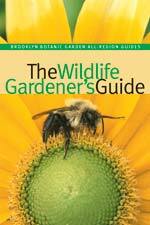 beetles, and other lovely pollinators is chronicled in this Brooklyn Botanic Garden handbook. You also find out how I lured them to my yard and how you can do it, too. 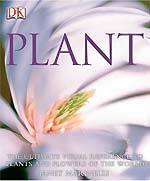 This just may be the most sumptuous book about plants ever published. In it, I and about two dozen of the world’s leading botanists tell the story of 2,000 plants that are dying out in the wild but alive—and in some cases thriving—in gardens. Message for gardeners: You can help save imperiled plants. 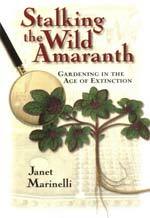 In 1990 I set out with a colleague in search of the seabeach amaranth, one of the world’s most endangered plants, which hadn’t been seen on Long Island beaches for 40 years. After days of sunburn and blisters, we stumbled across a specimen in glamorous Southampton. It had just been squashed by an SUV. This got me thinking about the history of gardening, and its future. 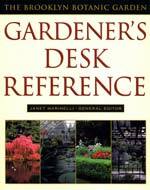 A concise encyclopedia of plants and garden techniques, and the first major horticultural reference book to make the case for natural gardening. 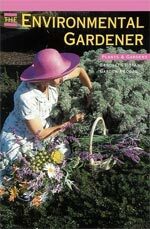 One of my proudest achievements as Director of Publishing at Brooklyn Botanic Garden, this handbook helped put the problem of invasive plants on the radar screen of professional and home gardeners alike. 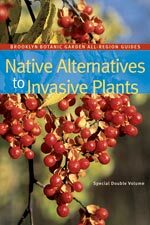 For all the folks who read Brooklyn Botanic Garden’s Invasive Plants handbook and want to know what the alternatives are, this book’s for you. I collaborated with architect Paul Bierman-Lytle on this guide to green building materials and where to find them. I asked pioneers of sustainable landscaping across the U.S. to design a small suburban or city garden that promotes a healthy diversity of plants and animals. They did—garden plans, plant lists, and all. A primer on sustainable gardening, before it was even called sustainable. For this, my first book, I combed the country for beautiful homes and gardens that preserve and even restore nature instead of always degrading and destroying it. Not a bad assignment.